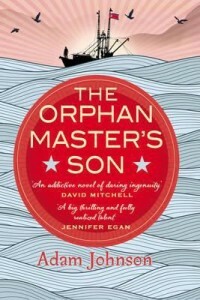 Adam Johnson for his book The Orphan Master’s Son, an exquisitely crafted novel that carries the reader on an adventuresome journey into the depths of totalitarian North Korea and into the most intimate spaces of the human heart. What We Talk About When We Talk About Anne Frank,” by Nathan Englander (Alfred A. Knopf), a diverse yet consistently masterful collection of stories that explore Jewish identity and questions of modern life in ways that can both delight and unsettle the reader; and “The Snow Child,” by Eowyn Ivey (Reagan Arthur/Little, Brown), and enchanting novel about an older homesteading couple who long for a child amid the harsh wilderness of Alaska and a feral girl who emerges from the woods to bring them hope. This entry was posted in All, Awards & Prize Lists and tagged reading by admin. Bookmark the permalink.